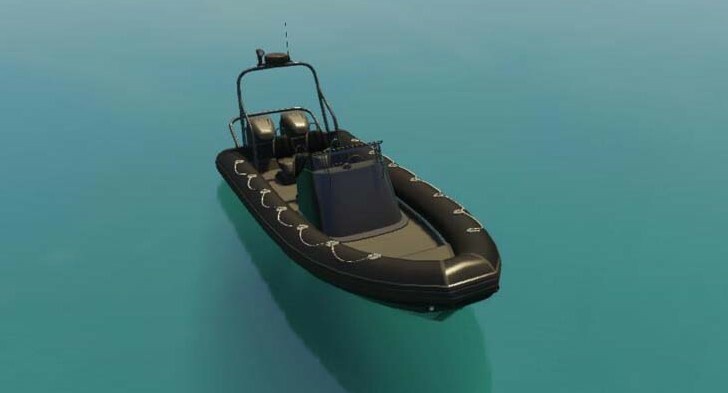 In GTA 5, the Dinghy resembles a military RHIB (Rigid-Hull Inflatable Boat), is available with one or two motors, and can hold a maximum of four people. 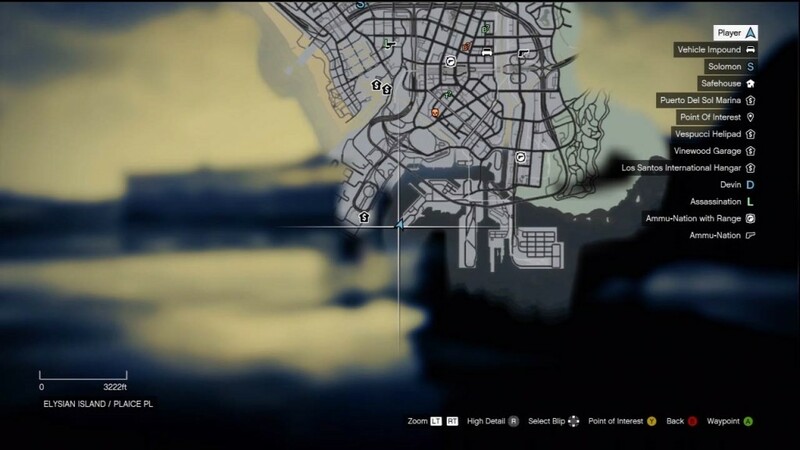 In GTA IV, it will come with a frame at the front, over the windshield, while in GTA 5, the same frame was moved to the rear end and features a third workable light, but not always the frame is seen in the boat. The same can spawn either with 2 or 4 seats. 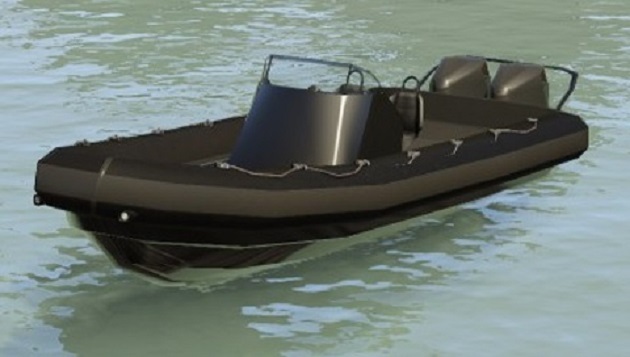 In GTA 5, one version of the Dinghy can come with a small roof in the back. Due to its size and lightweight construction, the boat is nimble and maneuverable, and has the potential to reach a moderately high top speed. Despite its construction, inflatable portions of the Dinghy do not deflate or burst when shot. Yes there is one on the south end of Elysian Island. It’s at a dock. Sometimes you have to go past the spot and then come back for it to spawn. From what I’ve seen there are two different color schemes. All black or red and black. An interesting thing about the dingy are that if you lose it while diving (they drift quite a bit from the wave action) and manage to get into another boat you keep the scuba gear. You will lose the scuba gear if you touch land or walk in a shallow area. The bad thing about the dingy is when you press “Y” to get out you jump right off. In other boats you don’t jump off and you can arm yourself with a rifle to kill sharks that might be about in an area you wish to dive in. It’s always good to have a knife in your hand when in the water because of the sharks that might show up. In the Port of Los Santos, on the west side of Elysian Island. By the barge under the Miriam Turner Overpass. Southwest of the Post Op depository. South side of the island by the dry docks. In the Sonar Collections Dock after you met Abigail.